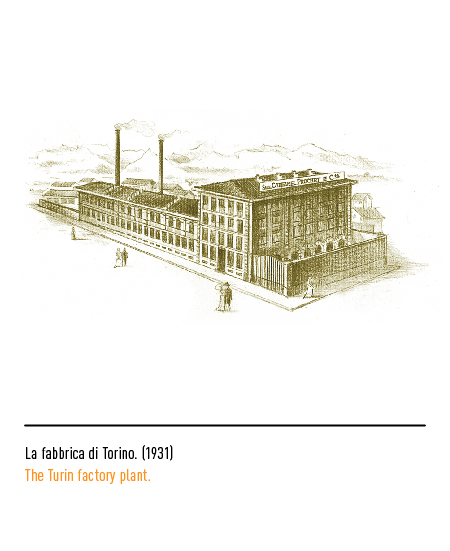 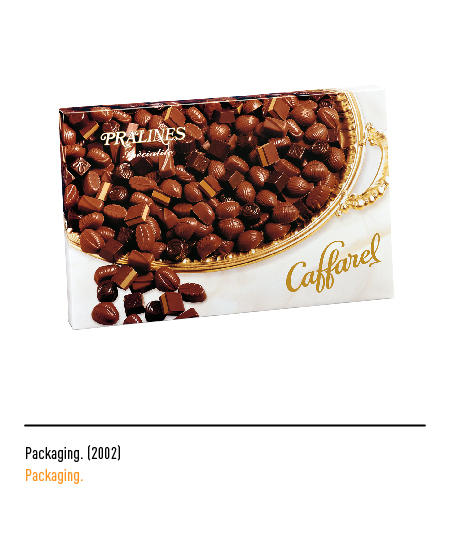 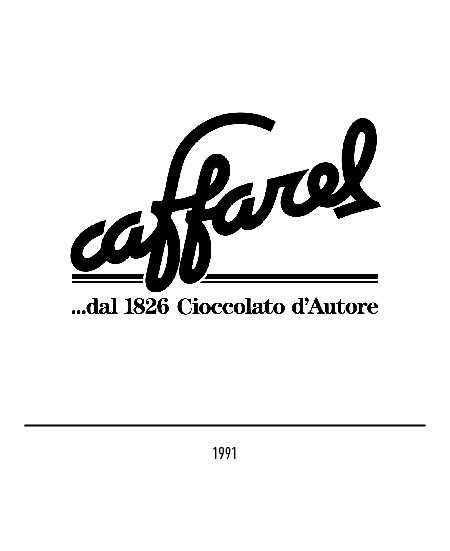 In 1826 Paolo Caffarelli, born Pierre Paul Caffarel, set up a chocolate factory in the then capital city of the Kingdom of Savoy, Turin. 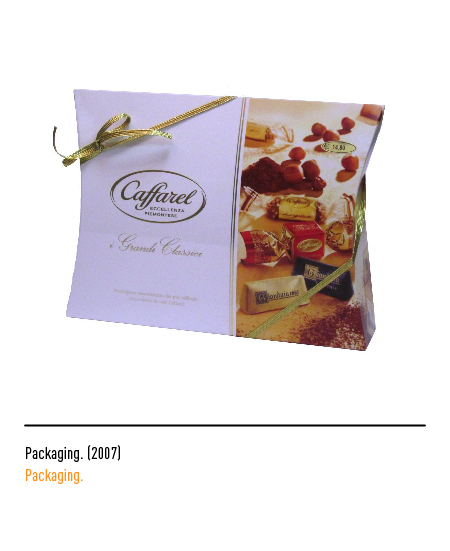 Water-driven wheels began turning and grinding the cacao pods imported from distant lands renowned for the quality of their crops, while master sweets and pastry chefs began turning out exclusive recipes. 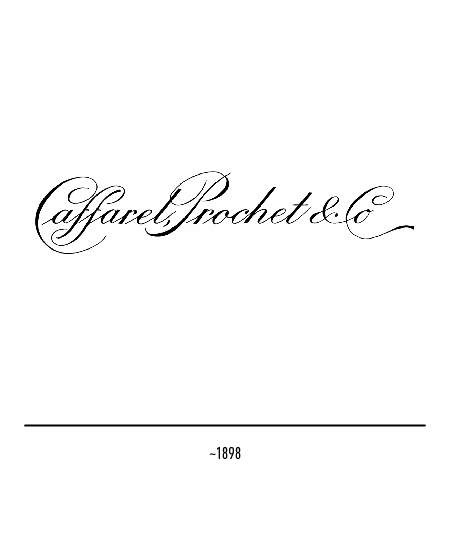 The establishment was indeed little more than a back room to a store, but nevertheless in 1852 it turned out a highly original product that was to spell the firm's success. 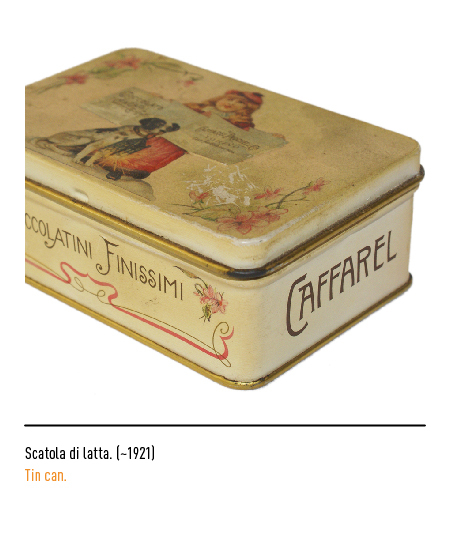 Carefully mixed and blended cacao, sugar, and the famous "tonde gentili" ("round and mild") hazelnuts of Piedmont were the ingredients that went into making the new chocolate delight. 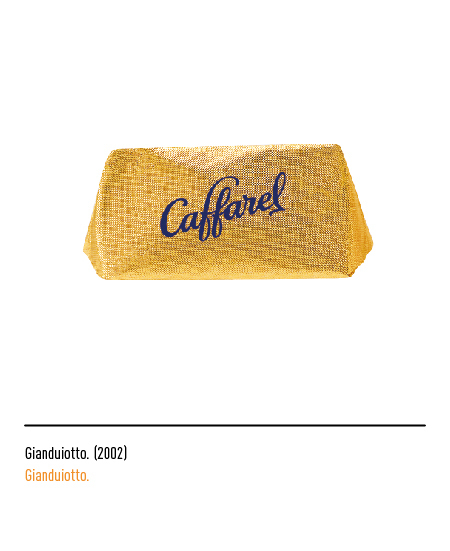 The name with which it has become famous, "Gianduiotto", was given to it in 1865 when it was presented at the Turin Carnival. 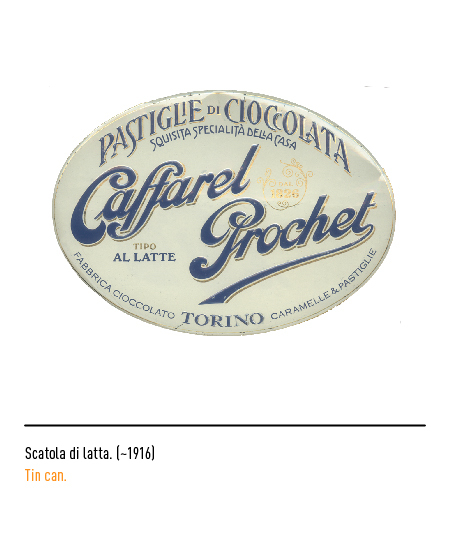 With a name like that its godfather could be no one less than the popular Piedmontese comedy-of-arts character Gianduia, a national symbol of the struggle for freedom and Piedmontese independence (see Ferrero). 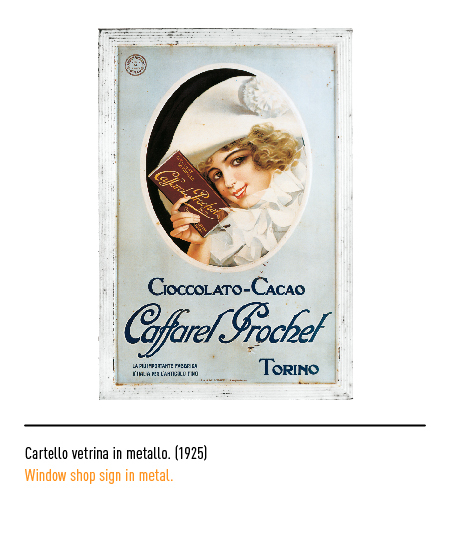 Like the imposing city land-mark of the Mole and motor cars, the new chocolate was to become a symbol of the city itself. 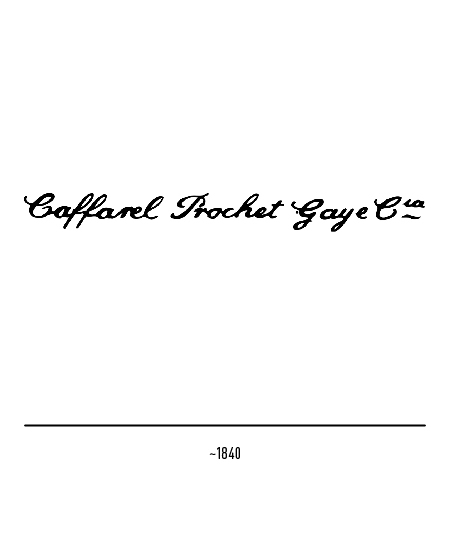 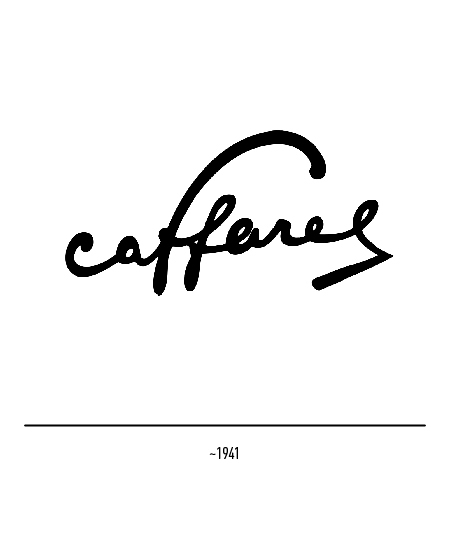 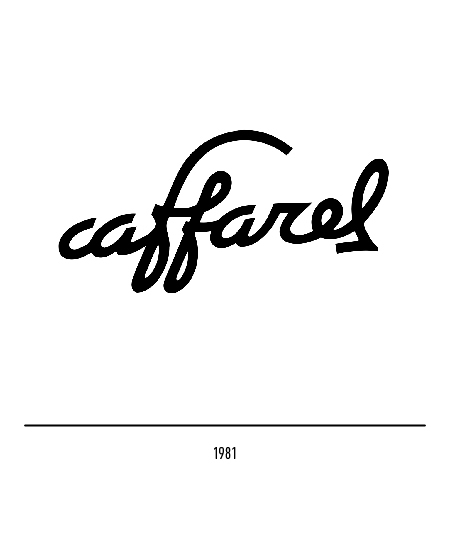 The first Caffarel logotype was in British-style calligraphic lettering, a style that was quite popular in the time and widely used by scribes for drafting official documents. 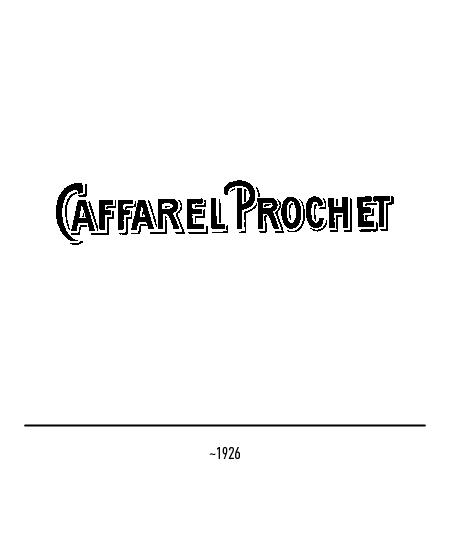 There was also the wording "prochet", which at the time was used to mean "successor, family member". 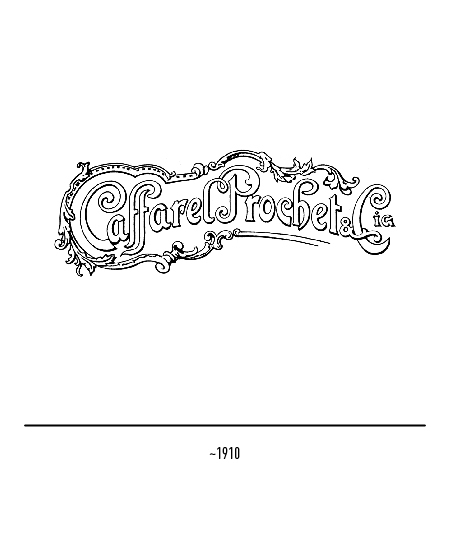 The "belle époque" with its romanticism and care-free life style so aptly expressed in the art nouveau style was also to make itself felt in the firm's logotype. 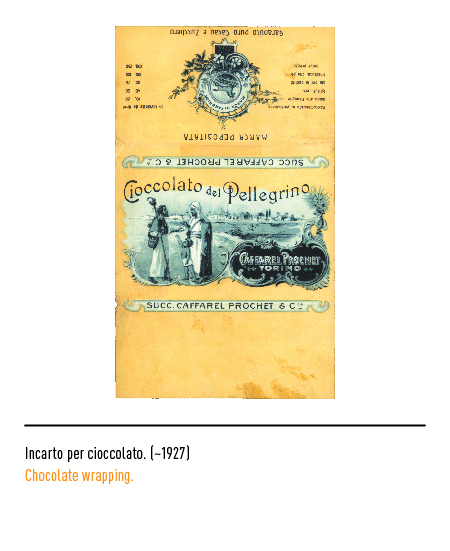 But logotypes with lettering in other styles displaying calligraphic traits, shading, ornamental flourishes, and avant-garde alphabetic characters continued to be used, especially for the chocolate wrappers. 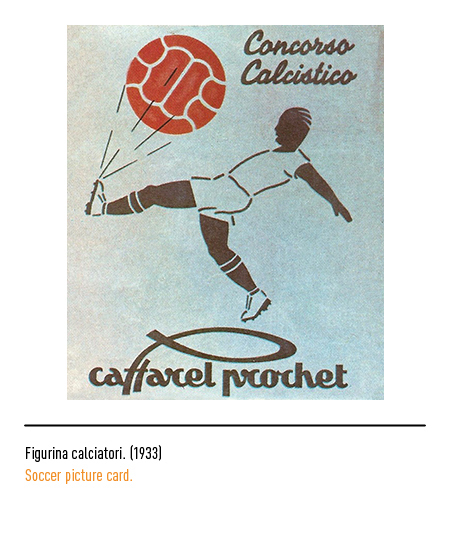 In the forties the image became more incisive. 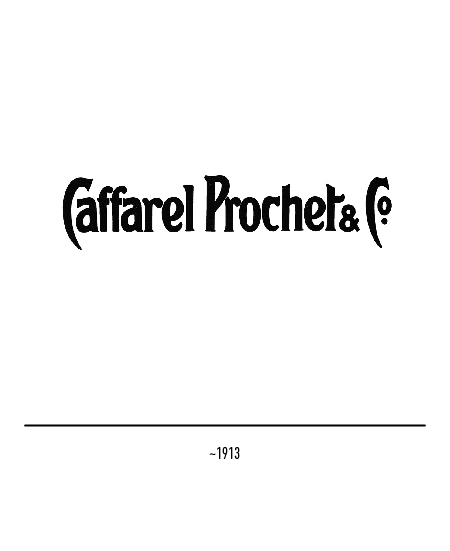 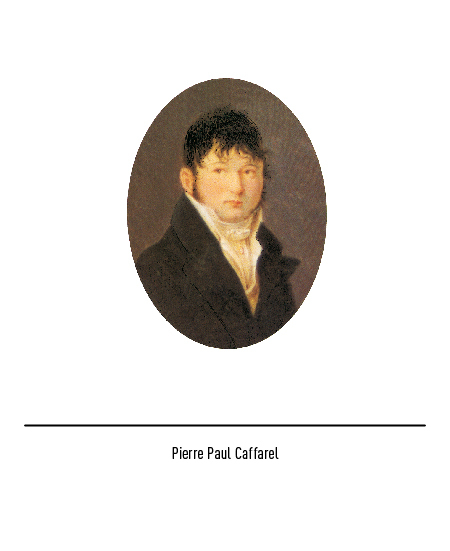 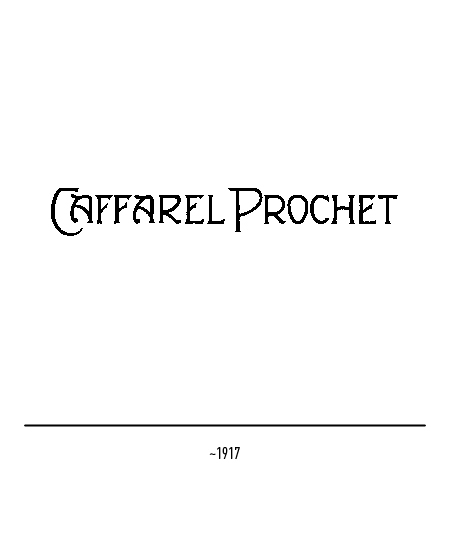 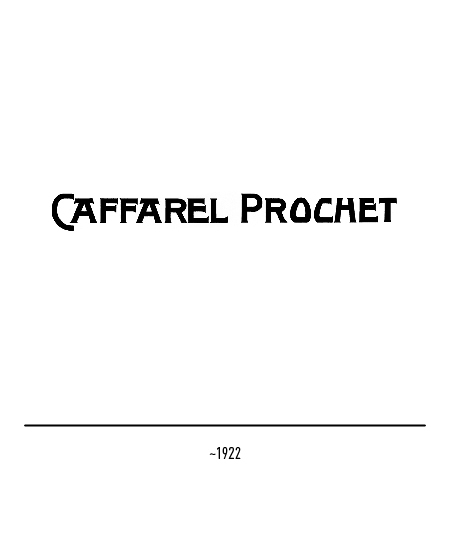 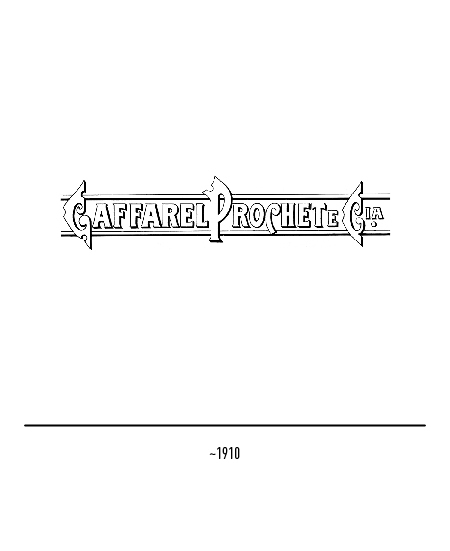 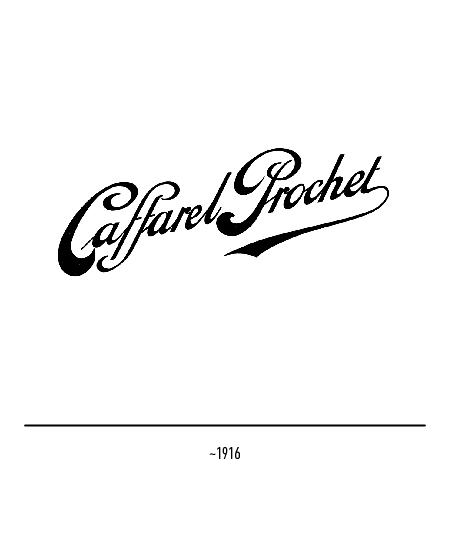 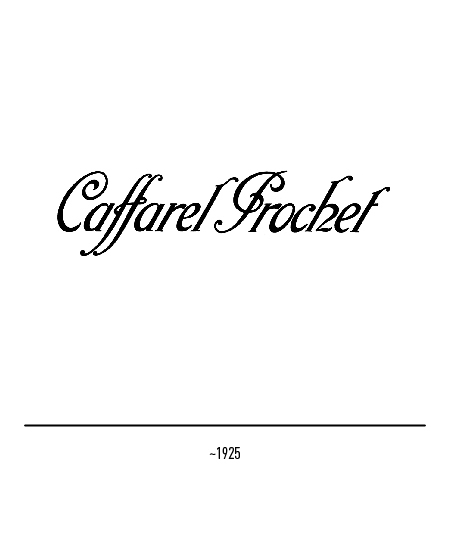 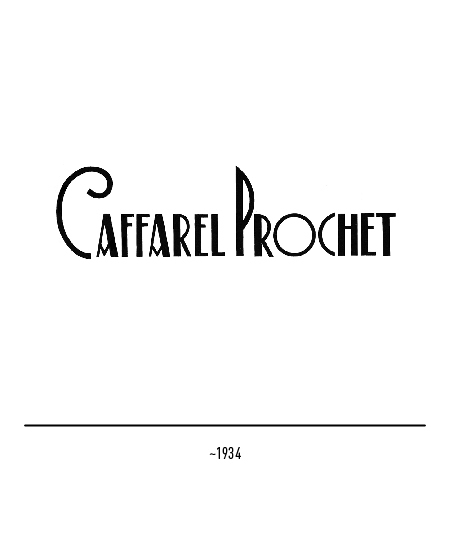 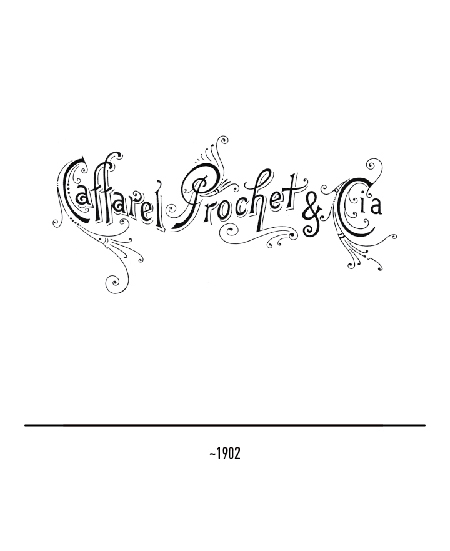 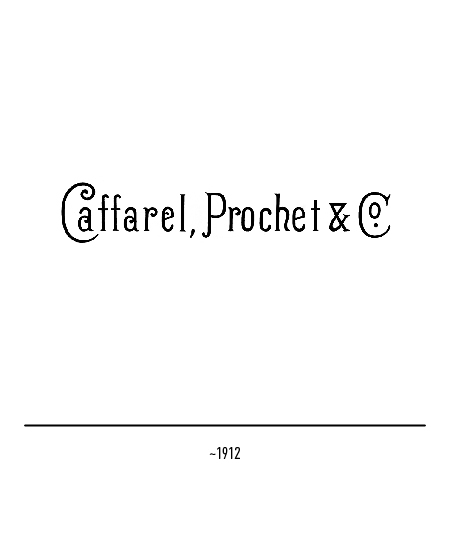 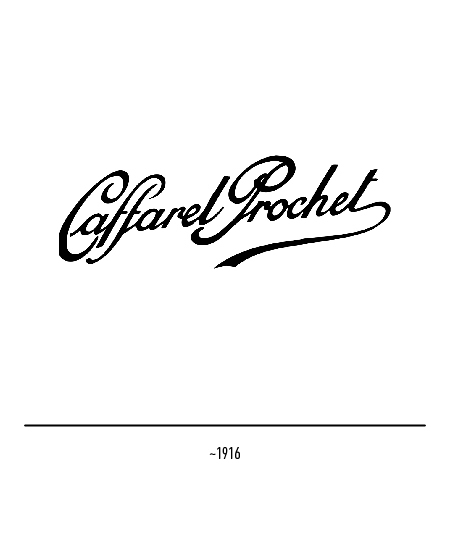 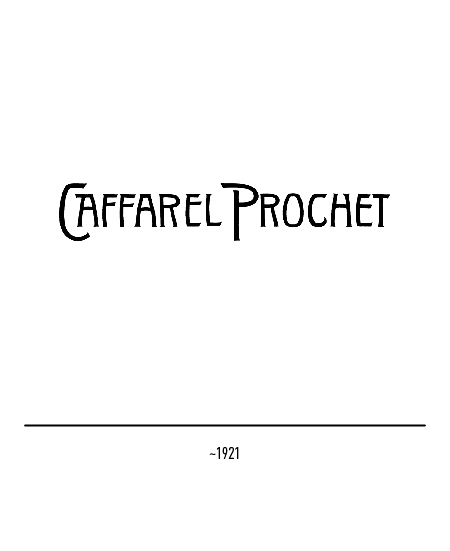 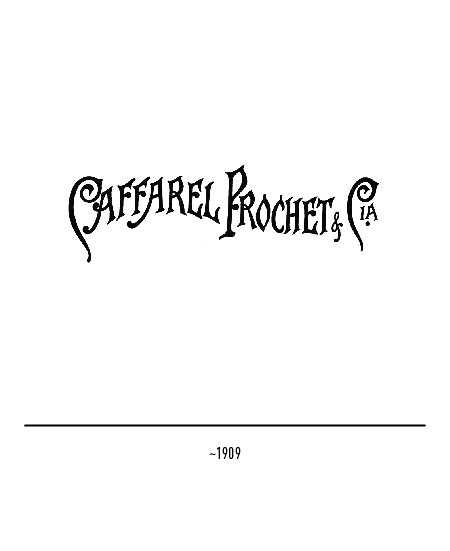 "Prochet" was deleted leaving only "Caffarel", while the graphics displayed greater vigour and determination witnessing to the firm's growing importance. 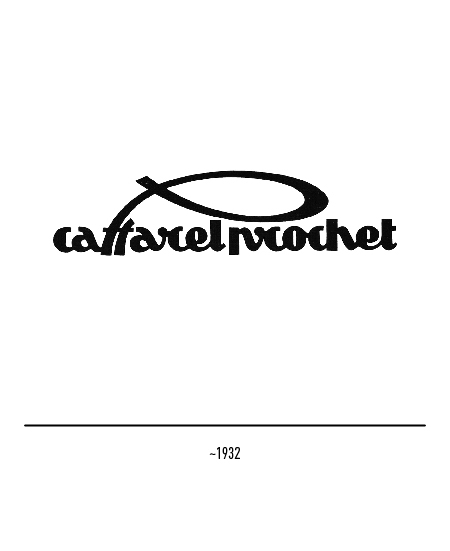 The more staid and rigorous logotype of 1981 reflects industrial development in the groove of tradition. 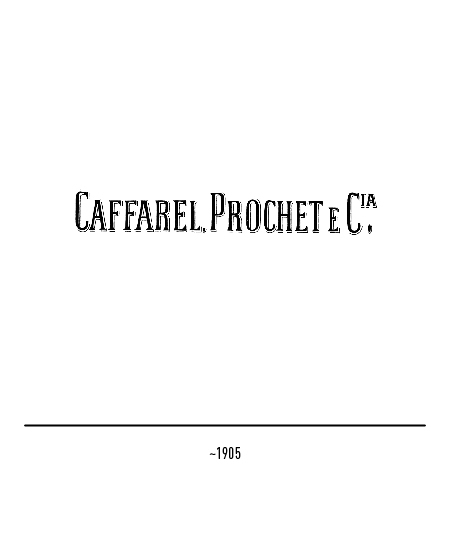 In 1991 the logotype was done up again with wording of a historical nature referred to the firm's date of establishment. 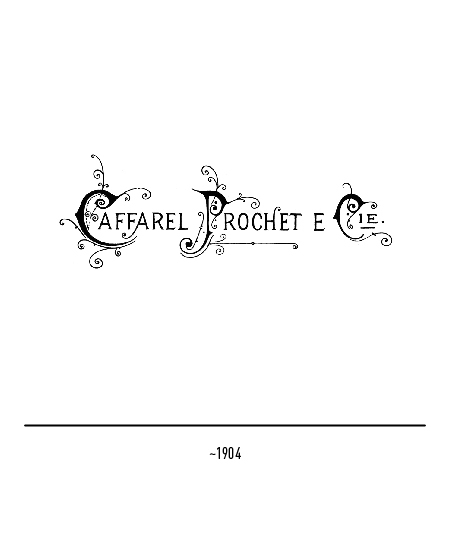 Conservation of the graphic style was consistent with the markedly lithographic-looking lettering harkening back to the time of firm's foundation. 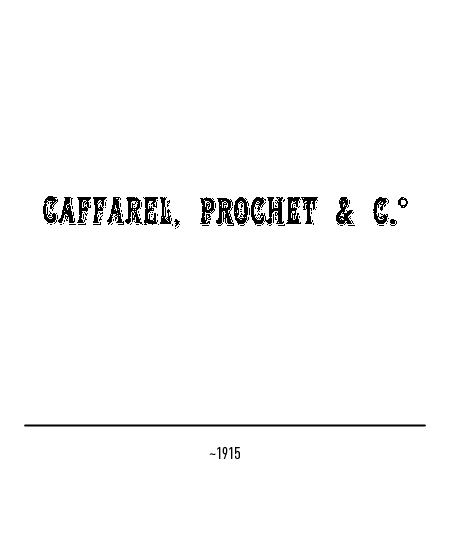 In fact, this printing technique performed on a special sort of stone was common at the time. 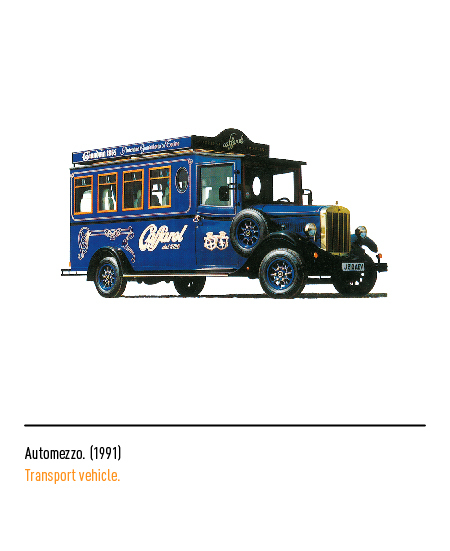 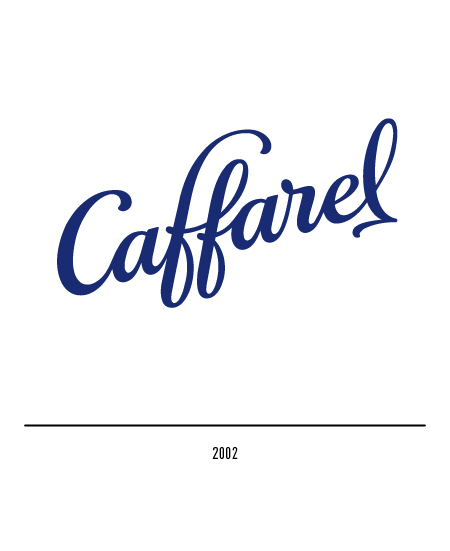 In 2002 the calligraphic lettering dating back to the forties was revised and suitably updated. 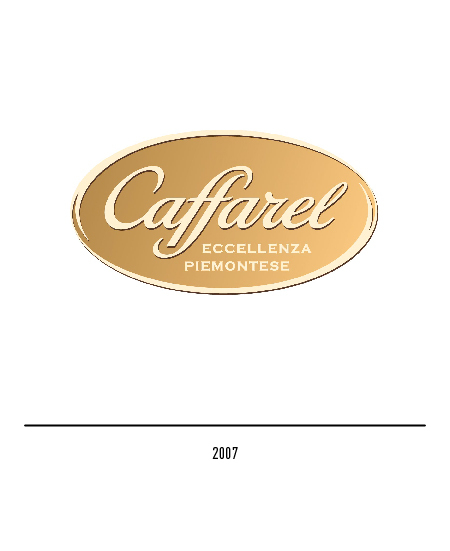 In 2006, to celebrate 180 years of keeping tradition alive, Caffarel had the logo restyled: the logotype, taking its curves from a logo dated 1916, is laid horizontally onto an hazel elliptic shape, along with the pay-off "eccellenza piemontese" (excellence of Piemonte); as the logo, also the packaging is characterized by an elegantly new graphic. 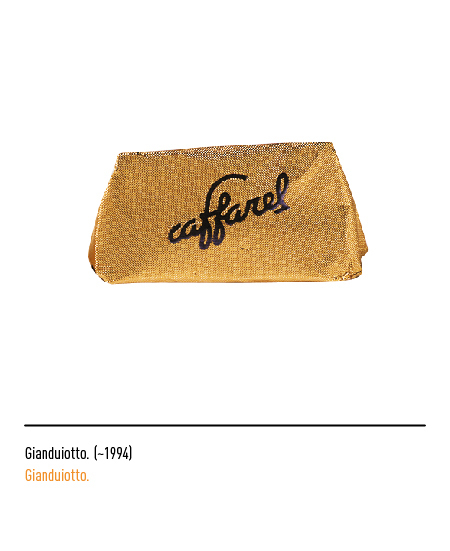 CAFFAREL Raffinatezze italiane dal 1826, houseorgan, 2002. 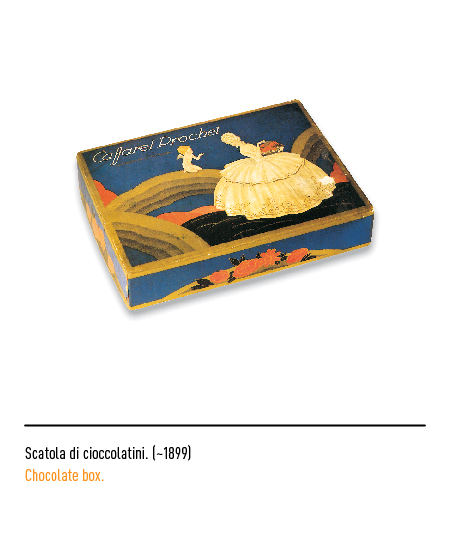 Clara e Gigi Padovani, Italia Buonpaese, Blu Edizioni, 2011.